Could we be leaving our children not only a far hotter world, but a more geologically unstable one too? 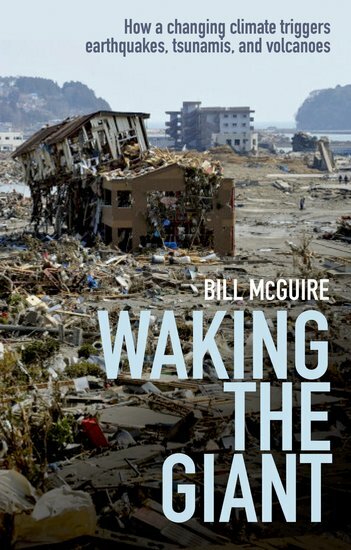 In Waking the Giant, Bill McGuire argues that now that human activities are driving climate change as rapidly as anything seen in post-glacial times, the sleeping giant beneath our feet is stirring once again. The close of the last Ice Age saw not only a huge temperature hike but also the Earth’s crust bouncing and bending in response to the melting of the great ice sheets and the filling of the ocean basins — dramatic geophysical events that triggered earthquakes, spawned tsunamis, and provoked a series of eruptions from the world’s volcanoes. Bill McGuire is Professor of Geophysical and Climate Hazards at University College London. His books include Waking the Giant: How a changing climate triggers earthquakes, tsunamis, and volcanoes, Surviving Armageddon: Solutions for a Threatened Planet, and Seven Years to Save the Planet.